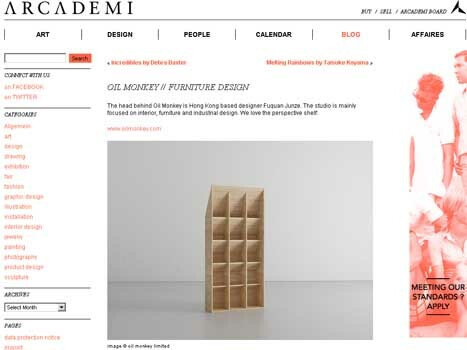 "Some new furniture designs by Oil Monkey aka Hongkong designer Fuquan Junze. Mathematically proven!" "The head behind Oil Monkey is Hong Kong based designer Fuquan Junze. The studio is mainly focused on interior, furniture and industrial design. We love the perspective shelf:."